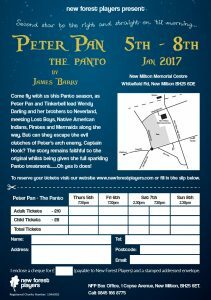 New Forest Players Present – Peter Pan the Panto! By James Barry – based on the book and play by J M Barrie, directed by Sarah Haberfield. at New Milton Memorial Centre. a share of the author’s royalty goes to Great Ormond Street Hospital. 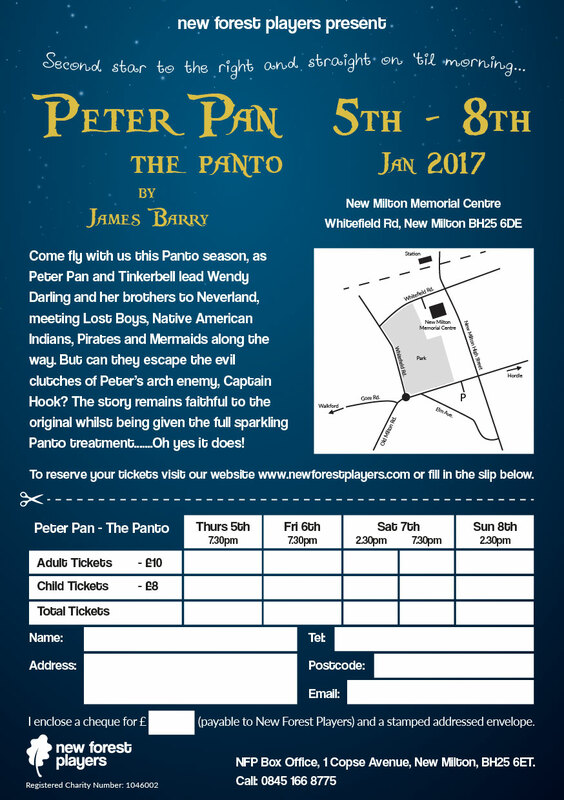 Come fly with us this panto season, as Peter Pan and Tinkerbell lead Wendy Darling and her brothers to Neverland, meeting Lost Boys, Native American Indians, Pirates and Mermaids along the way. But can they escape the evil clutches of Peter’s arch enemy, Captain Hook? 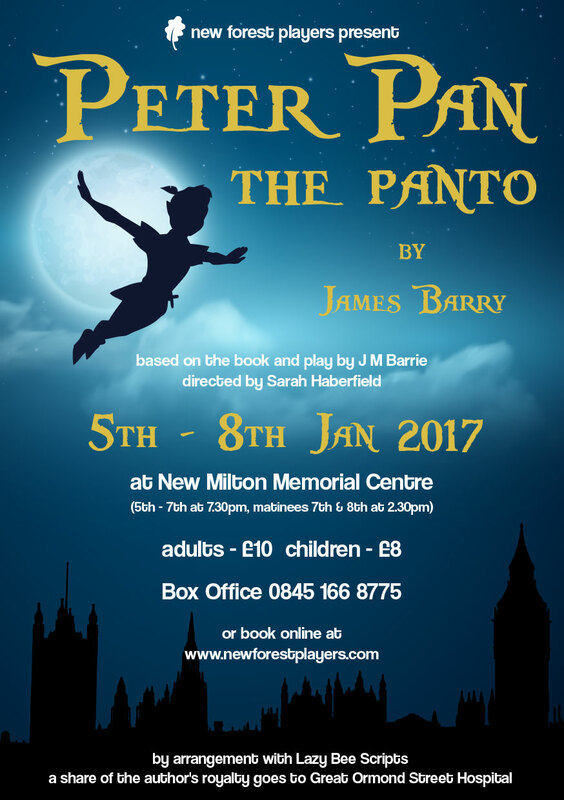 The story remains faithful to the original whilst being given the full sparkling panto treatment….. oh yes it does!